COHEN CONCEPTS: 06.06 09:45 AM | ECBACC Superhero Learning Zone Mini-Con at The CEC / 3500 Lancaster Ave. - Saturday, June 18th / 11a.m. - 6p.m. - Thank you! 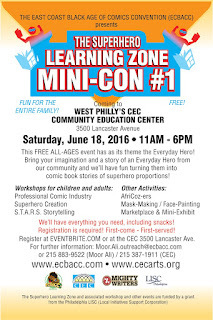 06.06 09:45 AM | ECBACC Superhero Learning Zone Mini-Con at The CEC / 3500 Lancaster Ave. - Saturday, June 18th / 11a.m. - 6p.m. - Thank you! 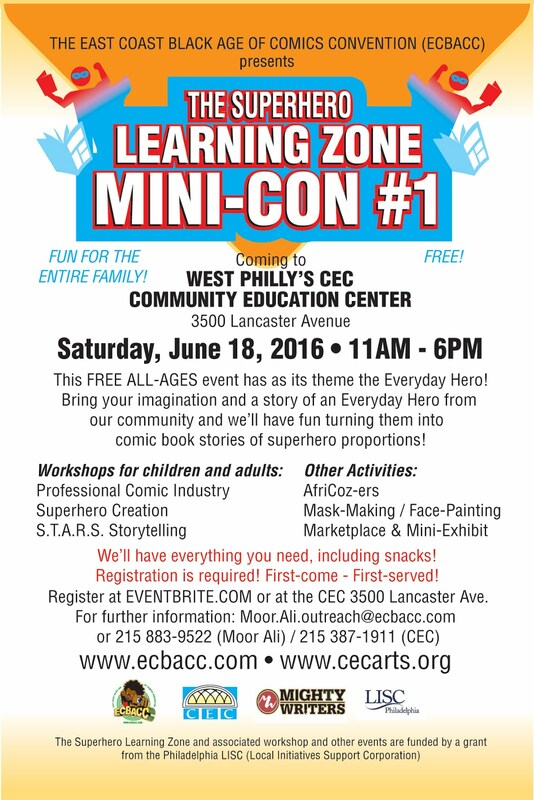 Subject: Re: [Community News] ECBACC Superhero Learning Zone Mini-Con at The CEC / 3500 Lancaster Ave. - Saturday, June 18th / 11a.m. - 6p.m. - Thank you! An Interactive & Fun Way to Learn and Build Community via Comics and Superheroes! Invest in the Best: Yourself & The Institute! Aspire not to be in a position of authority, but in a position of power in order to make a difference in your own life and that of others. If you achieve both, then you have the best of both worlds. Mr. Yumy Odom, Hon. Ph.D. The Frator Heru Institute: A Model for Community-based Education at its Best!